Any Muslim from any part of the world, he can hear about Jesus. 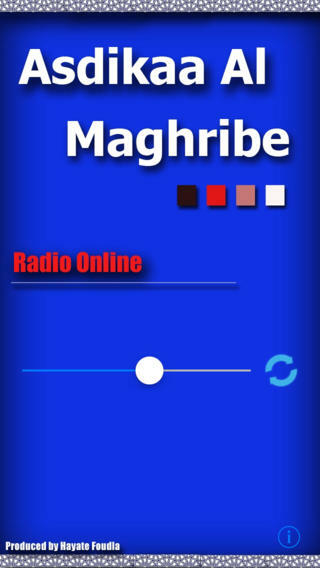 Just tell your Muslim friend, from any smart phone just go to Apps and type Asdikaa Al Maghribe. Asdikaa Al Maghribe is a radio by internet and most speakers are former Muslims speaking to their own people to explain to them who is Jesus and why we need him as Savior. 12. INTERESTED IN A YEMEN PRAYER GUIDE? 3. INTEGRATED AGRICUTURAL SYSTEMS COURSE — Now’s the final chance to register for the “Integrated Agricultural Systems” held at Camp Living Water, Bryson City, NC, March 7 -11. It will be a great time of learning and fellowship with those who are interested in an effective helps ministry of combining fish and vegetable production. As a learning tool, each attendee will be given an opportunity to construct a highly productive, small-scale system from barrels. For more information , visit: http://www.aquacultureinternational.org . 4. INTERNATIONAL MISSIONS TRIP FOR FAMILIES — Youth With A Mission Orlando, FL is offering an international mission trip for families. This short 2 week outreach to Panama is designed with families in mind. Toddlers to teenagers will have worship, creative prayer for the nations, family times, and learn how share in God’s work along side their parents and even grandparents. Light construction, children’s ministry, and performing arts will highlight ministry times. Outreach is July 24 to August 6 and applications are due April 25. Includes a day at an Orlando theme park. Go to http://www.ywamorlando.org/kingskids.htm or email: kingskids(at)ywamorlando(dot)org [As a means of preventing spam for our contributors, in the preceding email address(es), please replace (at) with @ and (dot) with .] for more information or call 407-273-1667. 6. FOR TESL FOLKS, FIND OUT WHICH WORDS ARE IN USE — Thanks to Larry for bring to our attention … http://www.wordspy.com/ a secular website that lists and defines new words that are now in use in the USA. 14. HELP GET BRIGADA OUT THE DOOR — If so, just click “sponsor” in the top menu (to use PayPal or a credit card), or just send a check payable to Team Expansion to: Team Expansion (Brigada secretary), 13711 Willow Reed Dr., Louisville, KY 40299. Thanks! As always, be sure to let us know if you’d like us to promote any particular service or ministry, or if you’d prefer your gift be anonymous. NEW TRIBES MISSION’S FIRM FOUNDATIONS VIA RADIO? SUMMER INSTITUTE OF MUSLIM STUDIES — Want to attend the Summer Institute with the most storied profs. in Islam? Gotta’ write <76361 3344 compuserve com>. July 8th – Aug. 9th, week by week, it’s the best there is for training in reaching out to Muslims. Two of the upcoming workshops are: Idyllwild, CA, April 21-26, 2002 and Colorado Springs, Co September 22-27, 2002. Contact Paul <itpartners earthlink net> for information. COACH AND PLAY BASKETBALL IN CHINA — Get involved in an outreach to unreached minority people in rural villages. Bring your hops and heart and minister to people at a Basketball Camp this summer. This camp starts on July 15th and runs for two weeks. It’s not too late to apply! Cost is about $2600 based on length of stay. For more information, call Jeff at Mission to Unreached Peoples, 1-888-847-6950 or log on at http://www.mup.org/SummerOpp.htm .